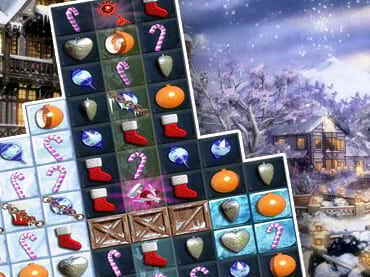 If you like this free game, try Jewel Match Winter Wonderland. Take a trip through a magical, snowy winterland in this frosty match-3 adventure. Build your own peaceful snowscapes and get those chestnuts roasting! In Jewel Match Snowscapes you have to explore over 100 levels, collecting toys and goodies on your way, and upgrade 6 unique wintery scenes. Visit the shop for a myriad of items to purchase to help you on your journey. If you have questions about Jewel Match Snowscapes game, please contact us using this form.